It’s the day you’ve been waiting for all your life, when you and your beloved stand up in front of family and friends and proclaim your love for one another. With the exception of childbirth, your wedding will probably be the single most important day of your life. Certainly, no day will be more thoroughly photographed and videoed, with virtually every moment – from the first notes of the Bridal March to the last dance at the reception and the honeymoon departure– lovingly captured and preserved for posterity. It’s only natural, then, that you should strive to look and feel your absolute best on this biggest of days. With that mantra in mind, here are five essential destination spa and salon wedding services in Cabo San Lucas. Suzanne Morel Face & Body Care has long been acclaimed as the premier mobile spa in Cabo San Lucas, famed for bringing its unique brand of five-star spa experience – from primping beauty salon services to pampering wellness therapies – directly to clients at their homes, resort suites or rental villas. Clients have never needed to claim any special event priority to make a reservation. 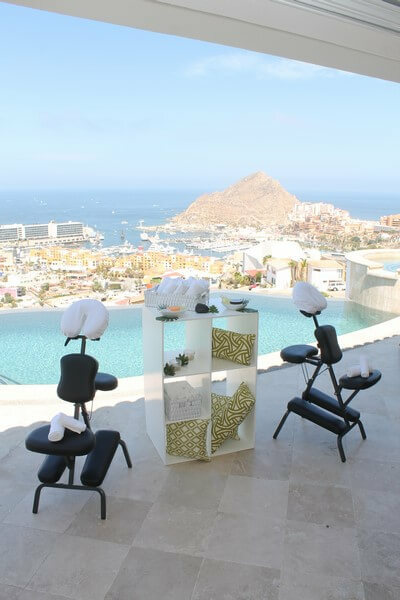 Vacationing in Cabo is reason enough to update one’s hairstyle, or stretch out on a beachfront massage table for a little tension-loosening body work. 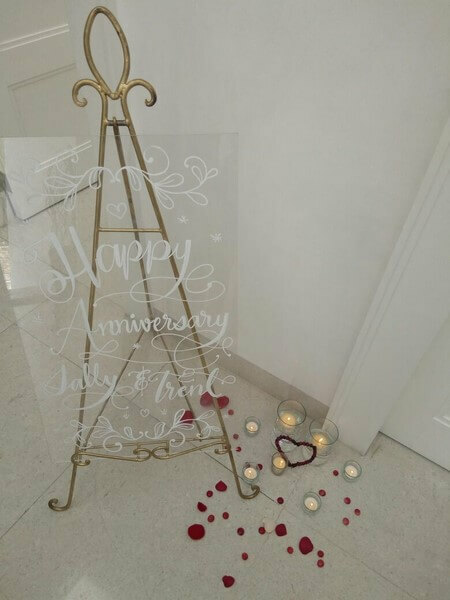 But there’s no denying that event-related services for birthdays, weddings, anniversaries, and renewal of vows ceremonies are a particular specialty. When it comes to bridal hair and makeup, for example, no local company takes better care of the ladies. 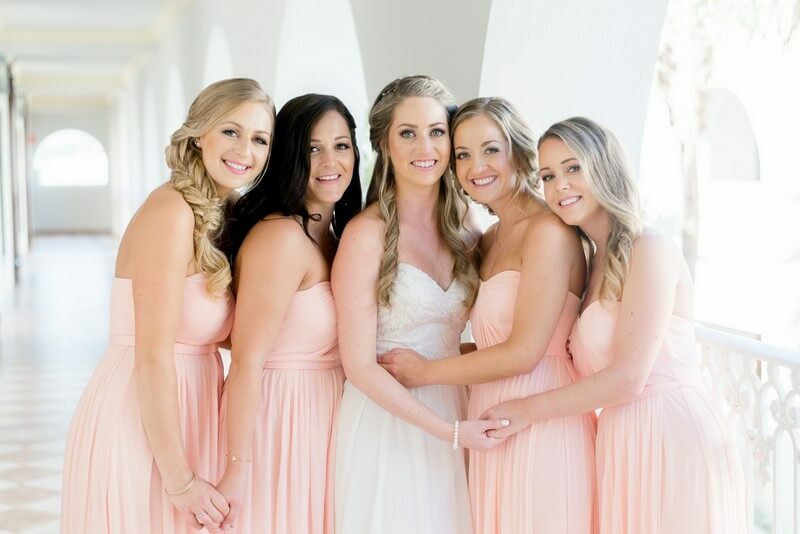 Brides, bridesmaids, flower girls, mothers of the bride and groom…women of all ages are eligible for the company’s fashionable salon-style expertise, from updos and down-dos to exquisitely tasteful makeup applications. But the bride, of course, remains the focus of attention, not only at the ceremony but at the rehearsal dinner, reception, and pre- or post-ceremony photo shoots. 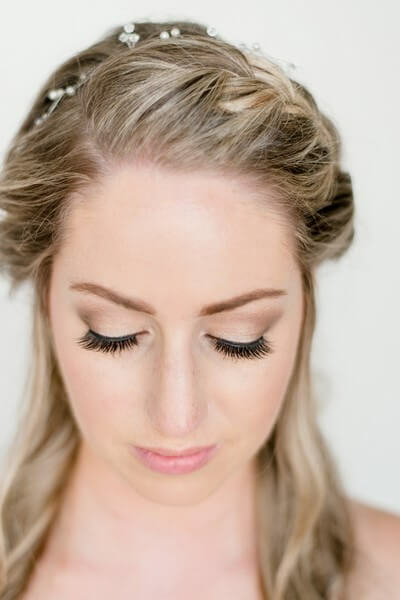 Weddings are “Princess” time for brides, and “Fairy Tale” packages from Suzanne Morel Face & Body Care allow them to change and optimize their “look” for up to four of these various wedding-related events, provided they’re all done during the course of a single weekend. Nerves are inevitable as the wedding day approaches. Marriage requires a commitment to a future together that is exhilarating, full of extraordinary promise and profound shared experiences. But as with all things whose future is not yet known, there is also a degree of anxiety involved; and planning a wedding can be stressful in and of itself. 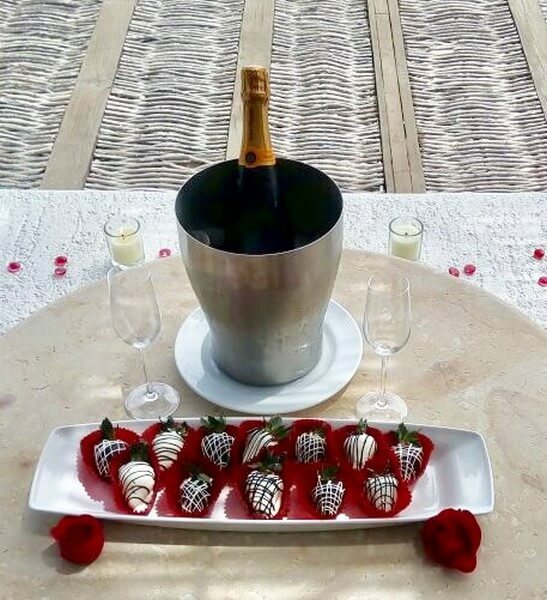 Luckily for prospective brides and grooms, there’s a cure for this pre-wedding stress and anxiety: it’s called the Happily Ever After package, and it’s one of the most essential wedding services in Cabo. Soon-to-be-newlyweds are given a soothing glimpse into their “happily ever after” future with romantic side-by-side massages and sense heightening aromatherapy oils. After this memorable 60-minute mind and body restorative, the bride and groom will be completely relaxed and ready for the celebration to follow. The bride and groom may be first in line when it comes to soothing ministrations – in fact, separate as well as tandem packages are available for the happy couple – but friends and family can also benefit from a pre-wedding mobile spa visit. After all, everybody wants to be loose and relaxed when they hit the dance floor at the post-ceremony reception. The magic of mobile spas is that they go wherever you are (or want to be), and can be customized for virtually any occasion. For instance, bridesmaids may enjoy a massage day by the pool while the groomsmen are out playing golf at one of the area’s many championship-level courses, or vice versa. Wedding guests too can enjoy personal spa attention, and if they’re all sharing the same ocean view villa, so much the better. Friends and family can even turn it into a party if they like, a destination spa day fiesta. The important thing to remember is that wedding services in Cabo aren’t limited to the wedding day itself. 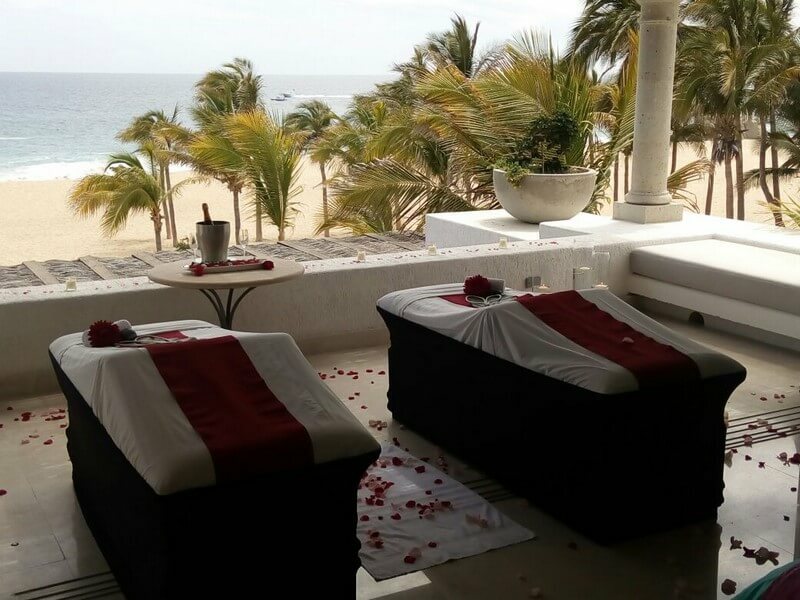 Did you ever imagine Cabo wedding services would include a lavender oil massage? Massages and body treatments are at the heart of the spa experience, and Suzanne Morel Face & Body Care offers some wonderful options for the bride and groom, as well as their guests: Swedish, hot stone, deep tissue, sport, bio energy, reflexology, circulation, and of course lavender oil massages are all available, with an assortment of other aromatherapy oils on hand for those who like to customize the experience. 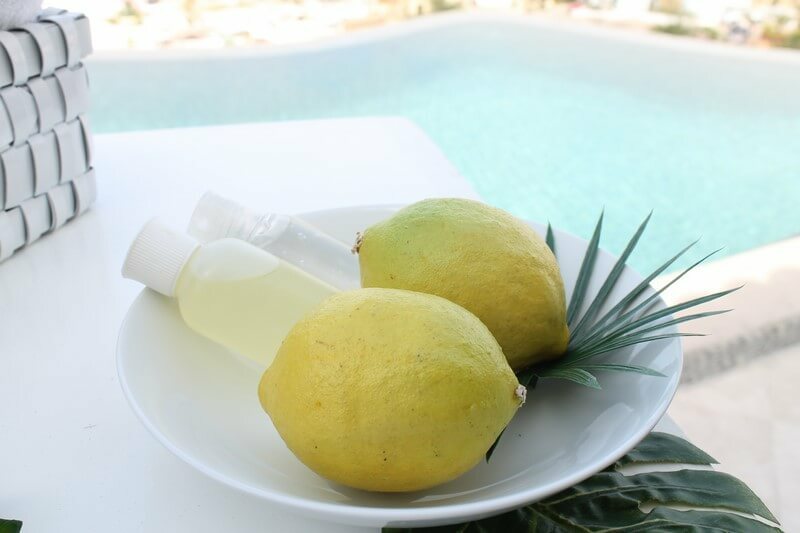 Romantic couples massages needn’t be limited to the bride and groom, by the way, and for those who may have gotten a bit too much tropical sun, there’s also a cucumber cooling sun treatment. 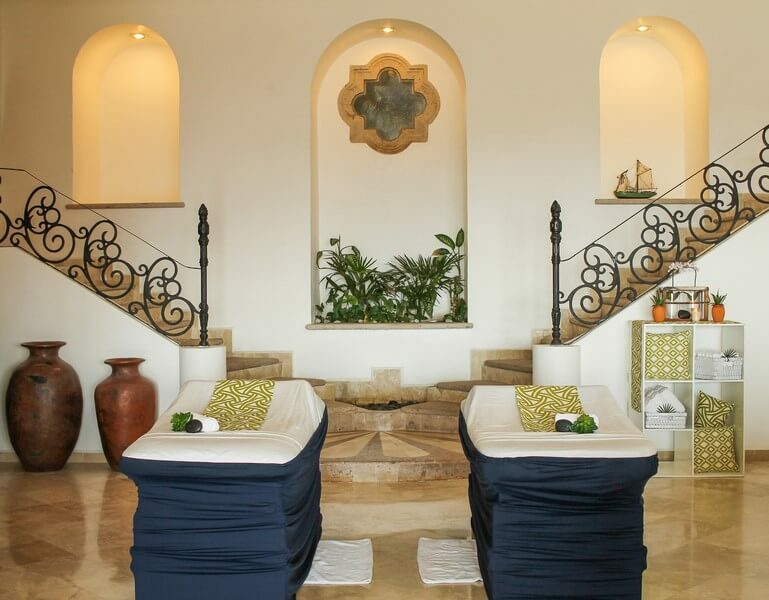 The signature body treatment, however, is a Mexican Ritual that incorporates various healing techniques, including massage and yoga movements, fresh herb and fruit-based exfoliations, and a calming antioxidant-rich cup of tea. Every detail of one’s appearance matters, from well-coiffed locks to perfectly buffed nails. As the old saying goes, “The way you do anything is the way you do everything.” Thus, hands and feet should be given the same degree of care and attention as the rest of one’s body. Granted, the mani-pedi experience may not engender the same sense of utter bliss as a “four hands” massage or pampering Mayan Healing treatment, but it is one of the five signature salon and spa “wedding services in Cabo.” At Suzanne Morel Face & Body Care, hands and feet are gingerly exfoliated and massaged, nails lovingly trimmed and shaped, so that the digits, like the rest of one’s mind and body, are totally relaxed and glowing with health. That’s the genius of salon and spa wedding services in Cabo, the Suzanne Morel way. Not only is the experience itself beautiful, but afterwards, the people who enjoyed it are beautiful too. This entry was posted in Cabo Bridal Hair and Makeup, Spa Services and tagged Cabo San Lucas Destination Weddings, Wedding Services in Cabo.